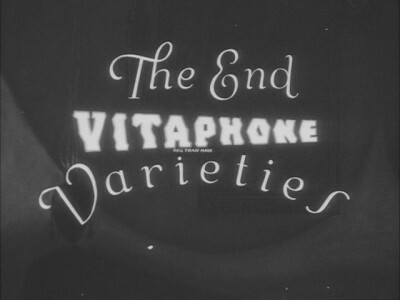 And that's exactly what you get with Vitaphone Varieties (1926-1930), just one big surprise after another. This wonderfully entertaining collection of 60 shorts from the earliest days of sound movies has been released by Warner Brothers through their Warner Archive MOD program, and it's well worth tracking down. 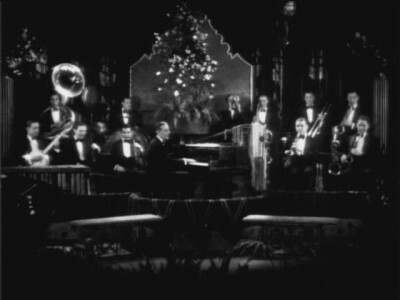 There's a little bit of everything in this set, nicely showing what a wide range of entertainment was coming out of Hollywood in the late 1920's. 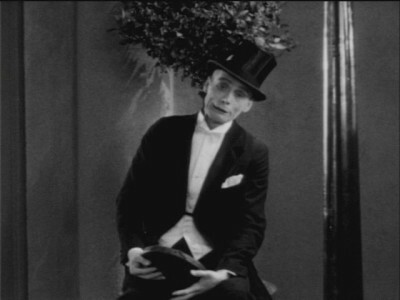 If you've read my review of the Vitaphone Cavalcade of Musical Comedy Shorts you'll know that I really enjoy early cinema and vaudeville acts, and this collection is packed to the gills with more of that type of entertainment. The best part of working your way through these nearly forgotten treasures is discovering new entertaining acts and performers, and realizing how funny and offbeat a lot of these acts were. Just about all of these actors came from vaudeville and stepped into the Vitaphone studio for a quick couple of bucks. Little did they realize that over 80 years later, the films that they created would still be in circulation and a valuable archive of what the masses had for entertainment in those years between the wars. I had only heard of a couple of the people featured in these shorts before popping the discs in, so I discovered a lot of great acts. Do you play be ear? No, I only play by request. Oh, what a shame, you must be terribly out of practice. Two of my favorite shorts were done by the team of Born and Lawrence. They had a unique style of delivery. One was silent (except for singing) and the other would tell jokes while his brother hammed about. 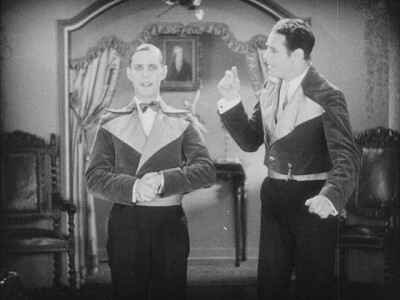 Their first short, The Country Gentlemen, had me laughing out loud to their slightly odd personalities and delivery. At one point they run into a friend they met while in France during WWI, or "over there" as the gentlemen refers to it. The fellow remarks that it was quite a time, and Born replies "yeah, we fought, and fought, and fought... but we still had to go." They do a song-and-dance routine where they use hand gestures to illustrate the words in the song and it's absolutely hilarious, but their best gag is Lawrence's groan inducing impersonation of "milk." You have to see it to believe it. In the second Born and Lawrence short, English as She is Not Spoken from 1928 they do the 'split the money' routine that Abbott and Costello (and I'm sure others) performed. (You know the one, where two guys are splitting some cash... there's one for you and one for me. Two for you and one, two for me. Three for you and one, two, three for me...) I'm pretty sure that this is the earliest film of that classic. Some of the acts are a bit dated. (Okay, they all are... but some more than others.) The short Dream Café features Jimmy Clemons as a drunk who encounters a couple of women who each dance for him. While the first one is kicking up her heels Jimmy yells "she's got a fly on her knee" several times. That went right over my head and I still don't get it. Another performer who did a drunk act (you just don't see those anymore... they used to be pretty popular even as late as the 70's with Foster Brooks appearing on a lot of variety shows) is Fred Ardath. In These Dry Days, which was filmed during prohibition, a man and woman come across Ardath soused in the park. At one point the woman informs him that alcohol is unnatural and that other creatures won't drink it. Woman: Take the jackass. If you give him a bucket of beer and a bucket of water, which will he drink? Ardath: That's 'cause he's a jackass! These aren't all vaudeville acts however, as the title proclaims, it's a variety. There are several short plays too, some of which were very good. The Death Ship takes place on board a vessel where a plague has taken most of the crew. Only two men are left, the captain and a mate, and one woman, a passenger. Both men have fallen in love with the girl and the captain decides to kill his rival while they're out at sea where no one will ever be any wiser. It's surprisingly dramatic and engaging. There are also novelty acts like Charles C. Peterson, "Billiard Champion of Fancy Shots." 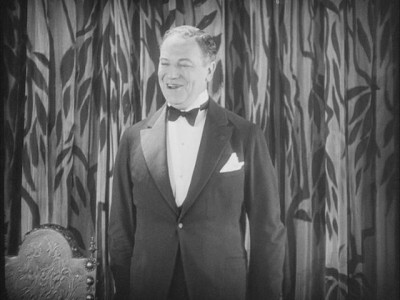 As he introduces the short he explains that he's going to "entertain you in the scientific art of billiards." He does some pretty impressive shots, but he also misses quite a bit. One shot he attempts three times and then gives up. He retains his cool mostly, lightly saying "This one I usually make on the second try" and such, but at one point it's obvious that he looses his cool and they have to cut the take. Another great thing about this collection is that some familiar actors turn up. Actor Montague Love (he fought John Barrymore in the famous sword fight at the end of Don Juan) has a short, Character Studies, where he performs several scenes and shows that he has a wide range when it comes to the type of roles that he can play. Silent star Gladys Brockwell gets top billing in Hollywood Bound, but oddly she's just a supporting actor, only really having one scene. The most surprising person to show up however is the beautiful Ann Howe in The Wild Westerner. 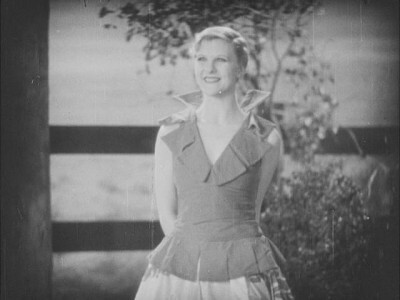 You won't recognize her name, and I'm probably the only one who would be excited about her appearance, but she played the maid in Charley Chase's Mighty Like a Moose. It's one of my favorite Chase shorts and I always thought she had a lot of appeal. This is her second and last movie appearance. I have no idea what happened to her, but she dances and crack jokes in this lovely short. While these are very entertaining, viewers should be warned that they are not PC. There are acts in black face, jokes are made about various minorities, and there are more than a couple of things that modern audiences might find offensive. In She Who Gets Slapped, for example, a hen-pecked husband is told to slap his wife when she gets out of line. You just have to remember that these were filmed over 80 years ago, and it was a different time. Colin & Glass in "Sharps and Flats"
Val and Ernie Stanton in "English as She is Not Spoken"
Jack Waldron in "A Breath Of Broadway"
Hobart Cavanaugh,Regina Wallace in "Sympathy"
Billy "Swede" Hall & Company in "Hilda"
This set contains 60 shorts on four DVD-Rs. They arrive in a single-width keepcase and each disc has its own page (none of that overlapping DVD crap here). As with the other Vitaphone shorts I've recently reviewed, the mono audio track to these sounds very good for films of this age. There's a touch of background noise in some shorts, but nothing distracting. The voices are generally clear and it's easy to discern what's being said. This full frame image is pretty amazing. The quality is generally very high, and I wouldn't consider any of these bad or hard on the eyes. There's some very minor print damage (spots and dirt) here and there, and just one or two have some evidence of film decomposition, but that's it. The contrast is excellent and the level of detail is surprisingly strong. Overall these are some great looking movies. 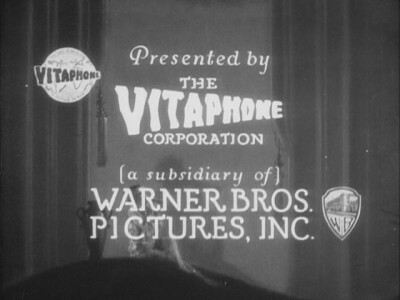 This is another wonderful set of Vitaphone shorts. Historical, entertaining, and incredibly amusing, there are a lot of great surprises hidden in this collection. A DVDTalk Collector's Series title.